Where some people see pity in the faces of their passed out friends, the artists in us see a pristine canvas. Mostly for drawing dicks. 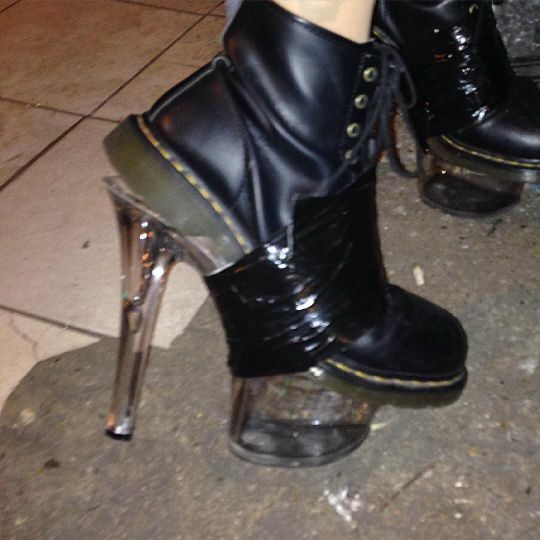 Has Stripper-Punk Finally Gone Too Far? The Ultimate Child Safety Lock? ...try the exact same thing again. User Eyellgeteven especially likes that this same fix has been done before; note that you can see the remnants of old duct tape gone by. There's a Webcam in There Somewhere! "A little duct tape, zip ties and a coffee pot make the perfect web camera enclosure." We couldn't agree more, noble kludger.